Station Eleven meets The Hunger Games in this ruthless, captivating story of a young woman’s survival in the frozen wilderness of the Yukon after the rest of the world has collapsed. As the old world dies, we all must choose to become predators. Or become prey. The old world has been ravaged by war and disease, and as far as Lynn McBride is concerned, her family could be the last one left on earth. For seven years, the McBrides have eked out a meagre existence in the still, white wilderness of the Yukon. But this is not living. This is survival on the brink. Into this fragile community walk new threats, including the enigmatic fugitive, Jax, who holds secrets about the past and, possibly, keys to a better future. And then there’s Immunity, the pre‑war organization that was supposed to save humankind from the flu. They’re still out there, enforcing order and conducting experiments—but is their work for the good of humankind or is something much more sinister at play? In the face of almost certain extinction, Lynn and her family must learn to hunt as a pack or die alone in the cold. Breakout debut novelist Tyrell Johnson weaves a captivating tale of humanity stretched far beyond its breaking point, of family and the bonds of love forged when everything else is lost. Reminiscent of Station Eleven and The Hunger Games, this is a classic and enthralling post‑apocalyptic adventure and a celebration of the human spirit. 2. Would you have dealt with Conrad, after his attack of Lynn, the same way Jeryl did (26)? Why or why not? 3. Why do you think Ramsey gets upset when Lynn tries to sleep with him? Why does Lynn get “this ball in the pit of my stomach” when she thinks about it afterwards (36)? 4. Lynn’s father tells her that first you survive in your head, then in your stomach, and then in your heart. He tells her that “You have to have all three” (60). How do Lynn, Mary, Ken, Jeryl, and Ramsey survive at their homestead? Do they each have all three? 5. Should Lynn have been more wary of Jax and Wolf when they appeared (45)? What would you have done in Lynn’s place? 6. After Jax and Jeryl leave in pursuit of Nayan, Lynn feels, “If I was ever going to get away, this was my chance” (112). Why is she so compelled to rush after them in that moment? 7. While Lynn is at the Immunity camp, Braylen's motives are difficult for Lynn to decipher. Did Braylen ultimately mean well? Was she trustworthy? 8. Anders’s methods for combating the flu are “harsh, but they work” (179). How might his actions be justified despite their cruelty? 9. Anders calls Lynn “a stupid child” before his death (270). How does Lynn grow and mature over the course of the story? How is she still childlike? 10. Was Mary right to keep Lynn’s immunity and her father’s letter a secret (249)? Should she have told Lynn sooner? 11. Why does Jeryl leave the camp in search of the bear he believes to be John-Henry (290)? 12. What do you think Lynn and Jax might find in Vancouver (296)? 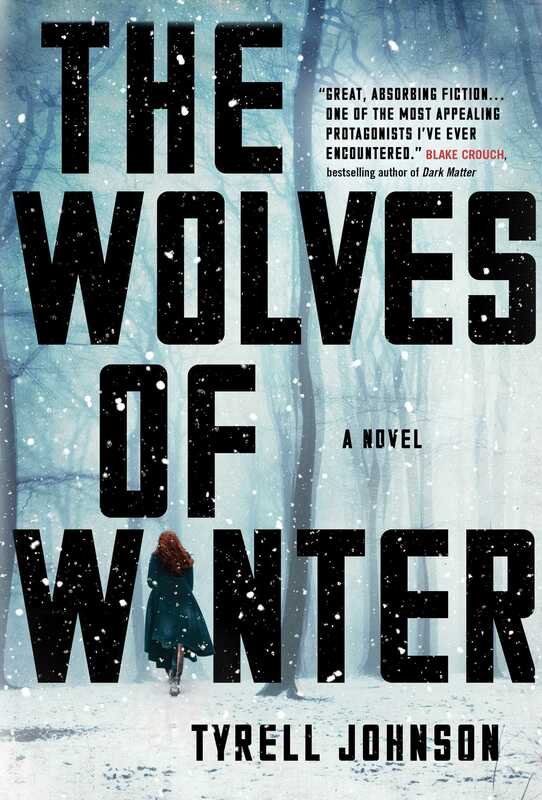 The Wolves of Winter details some of the routines the McBrides and their friends must keep up in order to survive in the Yukon – hunting, trapping, building their homes from scratch. Watch the documentary Alone in the Wilderness, about a man who built a cabin and lived alone in the Twin Lakes region of Alaska, and discuss what life in the wilderness would be like with your group. Quotes from Walt Whitman’s Song of Myself are woven throughout The Wolves of Winter. Read Song of Myself, or listen to a recording of it at whitmanarchive.org/multimedia/audio.html, and discuss your favorite passages. Tyrell Johnson is a writer and editor. He received his MFA from the University of California, Riverside, where he studied fiction and poetry. 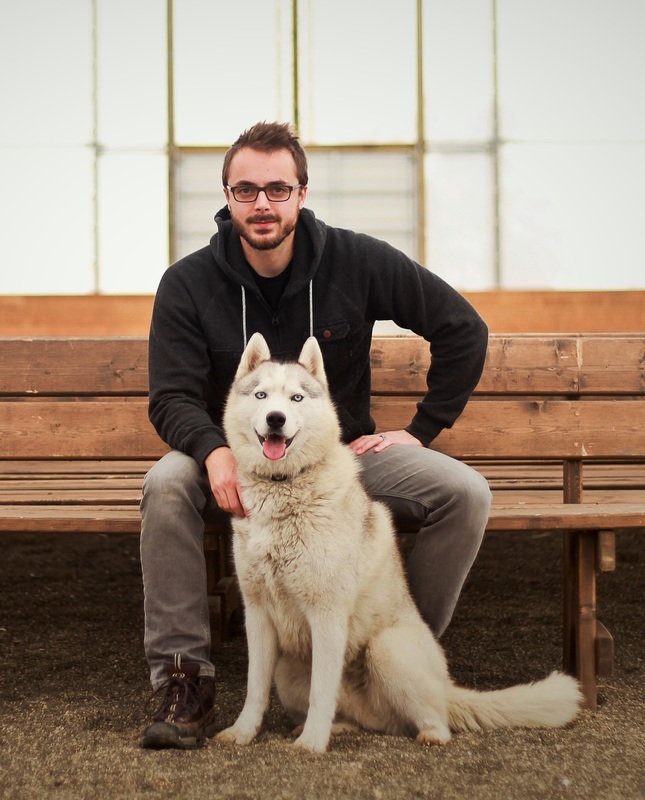 Originally from Bellingham, Washington, he currently lives in Kelowna, British Columbia, with his wife, two kids, and a Siberian husky. His debut novel, The Wolves of Winter, was an instant national bestseller that remained on the list for over two months. Connect with him on Twitter @tjohnso14.